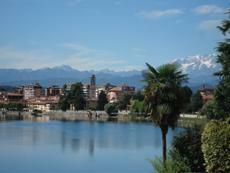 This is a 7 nights and 8 day cycling holiday around the Lakes of Lombardy in Northern Italy. The tour starts and ends in Bergamo, and has stop overs in Como, Varese, Sesto Calende, Milan and Pavia. All of the hotels are 2* and 3* and are booked on a bed and breakfast basis. They have comfortable rooms with private facilities. Most of the hotels are in the town/city centres close to the main sights and restaurants. The cycling is graded as Moderate. The itinerary is mostly on lowlands but with rolling hills for some sections. There are a few short sections on busy roads but the vast majority of the route is through quiet countryside or along rivers, canals and lakeshores. The maximum stage distance on any day is 72km. Bike Hire is 55 Euros and price includes a Euro currency surcharge of £30.51. (£6.86 on single supplement). Helmets are not included, so you would need to take your own.